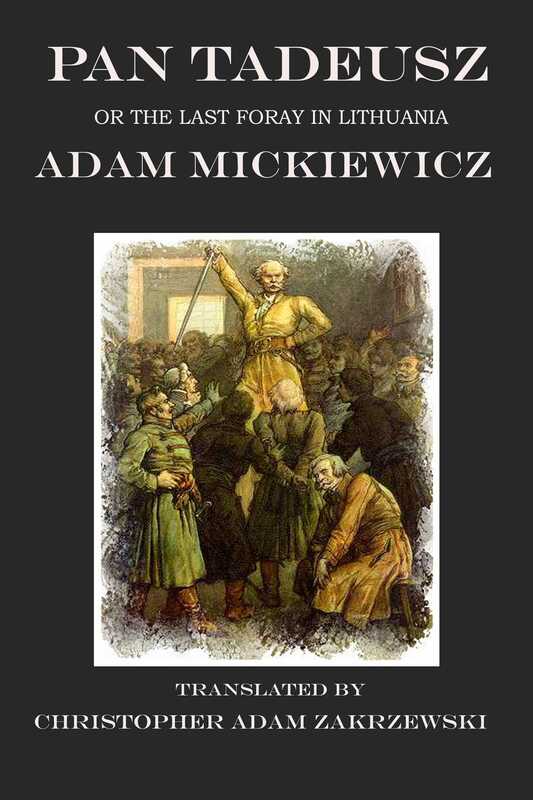 Pan Tadeusz is an epic poem by the Polish poet, writer and philosopher Adam Mickiewicz. The book was first published in June 1834 in Paris, and is considered by many to be the last great epic poem in European literature. It is a tale of mystery, mistaken identity and patriotism set the days before Napoleon's invasion of Russia. The story takes place over the course of five days in 1811 and two days in 1812, at a time in history, when Poland-Lithuania had already been divided between the armies of Russia, Prussia, and Austria and erased from the political map of Europe, although in 1807, just before the story begins, Napoleon had established a satellite Duchy of Warsaw in the Prussian partition, in existence until the Congress of Vienna held in the aftermath of Napoleonic defeat. The place is situated within the Russian partition, in the village of Soplicowo; the country estate of the Soplica clan. Pan Tadeusz recounts the story of two feuding noble families, and the love between Tadeusz Soplica (the title character) of one family, and Zosia of the other. Another sub-plot involves a spontaneous revolt of the local inhabitants against the occupying Russian garrison. Since Mickiewicz published his poem as an exile in Paris, he was free of the Russian censors to talk openly about the occupation.